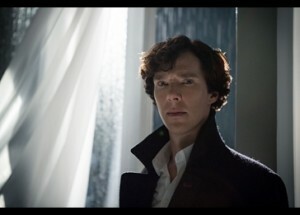 Need a Sherlock hiatus helper as much as I do? At least we know the series isnâ€™t going to take another two-year break (Iâ€™m honestly not sure when Iâ€™m going to be able to let that go). I spoke exclusively to composer Michael Price, who just won an Emmy for season 3 of the series. We talked about how he and his partner David Arnold heard about the project, how they came up with the sound of the show and what musical (and story) surprises there have been along the way. 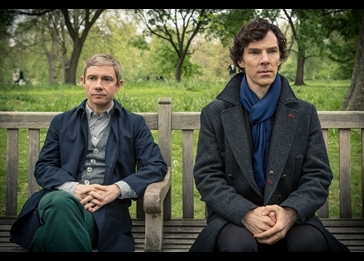 TV GOODNESS: Congratulations on your Emmy for Sherlock. That’s so exciting. TV GOODNESS: Good. Especially after 4 consecutive nominations. At least they were recognizing that you were doing great work. How did it feel to finally win? TV GOODNESS: I love the music, so I was excited to hear you won. TV GOODNESS: Are you working on season 4 right now? TV GOODNESS: Let’s back up a little bit. 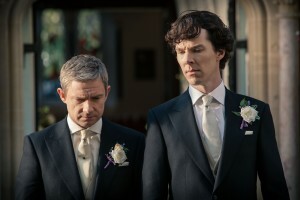 How did you hear about Sherlock and what made you and David Arnold want to work on the show? Michael: “I think most of the interest with the show is by relationships which, I think, drives a lot of the work that we do. 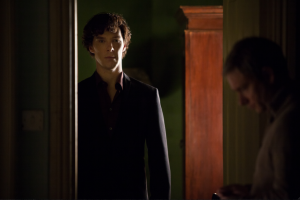 David had worked with Mark Gatiss, who is one of the writers and showrunners and also plays Mycroft in the show. Mark and David and known each other for a long time. 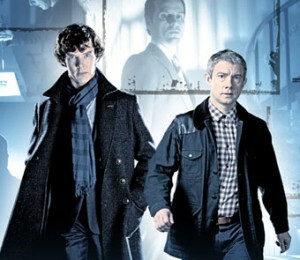 I’d known Mark as well for a few years and he called David up and said, ‘We’ve got this new modern-day reworking of Sherlock. We’d like to show it to you.’ David and I have worked together for ten, fifteen years now and David called me up and said, ‘Oh, we should go and watch it together.’ And we did and it was this peculiar thing where right from the word go, you could see that there was something very special about it because once you’ve seen Benedict Cumberbatch on screen and Martin Freeman and watched the chemistry between the two of them, you knew something extraordinary was possible. TV GOODNESS: You’ve worked with David for the past ten years? TV GOODNESS: We like those. TV GOODNESS: Tell me a little bit about your process. Does it start before you even see a script? When are you inspired to start writing? TV GOODNESS: How did you guys come up with the sound for this project? I know you use a full orchestra amongst other things. Are there certain instruments you focus on that you feel help you tell the story? TV GOODNESS: Do you have a favorite cue or two from the series so far and can you tell me about it? TV GOODNESS: How do you overcome challenges or setbacks when youâ€™re composing? TV GOODNESS: What are you working on right now? TV GOODNESS: Any final thoughts? TV GOODNESS: Actually, one more thing. How was it to take that humongous break between the second and the third season? I kind of felt like I was dying. Season 4 of Sherlock returns in 2015 on PBS.